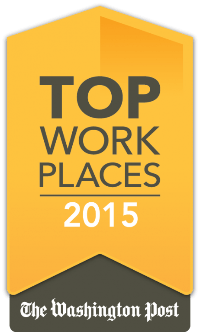 FMP Recognized as a Top Workplace by Washington Post! FMP is thrilled to announce it has been selected as one of The Washington Post’s Top Workplaces for 2015 among Small Companies! We’re honored to have our unique and innovative culture recognized by the Washington Post for the second consecutive year. The Washington Post published the complete list of Top Workplaces on June 22nd. FMP’s full profile and more details on the Top Workplaces awards can be found on The Washington Post’s Top Workplaces website. ← FMP Featured in Forbes Magazine!